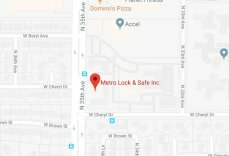 Alhambra Locksmith | Metro Lock & Safe Inc.
Are you tired of searching for a locksmith you can rely on? Have you tried multiple companies just to get the runaround? Do the other guys avoid giving rates or response times over the phone? Then try the honest team at Metro Lock & Safe Inc! As one of the highest rated locksmiths in Phoenix, we’ll treat you right! Named after a grand palace in Andalusia, the neighborhood of Alhambra AZ may be one of the older regions of Phoenix, but that doesn’t mean that it’s outdated. Home to the famed Grand Canyon University, students from all over come to study Science, Theology, and everything in between. With degrees ranging all the way up to Doctoral studies, there are plenty of opportunities for aspiring students to get a jumpstart on their career! And while the GCU students may have a dedicated stadium, other schools and residents make use of places such as Solano Park to play soccer or just enjoy a day outside. For the hobbyists out there, make sure to take a look at Duncan’s R/C off of 35th Ave. With remote control cars, helicopters, airplanes, and more, you’ll find top-of-the-line vehicles here that are hard to find anywhere else. And to end the day, try a true Irish pub at O’Briens Sports Pub for some of the friendliest service around. Have a few rounds while you enjoy the game; just try not to have so much that you lose your keys and get locked out of the house! But should that happen, rest assured that the best locksmith around is standing by to help!